Today our Ocrafolk School class learned about nautical traditions, schooner history, and basics of sailing a two-masted schooner. We also watched a dramatic video of a tall ship rounding Cape Horn, and wove turk's head bracelets and rope mats. We are so fortunate to have great weather for the school. Although it's been windy and cold some days, we chose the warmest and quietest day for kayaking, and picked this afternoon (moderate winds) for sailing. But the sky has been clear and rain-free. At night the stars are scattered across the heavens in grand profusion. Last night, walking home from the shrimp boil with Lachlan, we gazed up at the Milky Way and talked about "where we were before we were born." Lachlan said he didn't know, and I told him it was a mystery that even his Opa couldn't answer. Our latest "newsletter" is a link to my new web site, Black Squall Books, with information about my new book, Digging up Uncle Evans, History, Ghost Tales, and Stories from Ocracoke Island, which is expected to be available by mid-November. Click HERE to go directly to the web site to learn more. Our Ocracoke Sampler class (part of the Ocrafolk School) is having a great time learning about Ocracoke. Monday afternoon and yesterday we explored the sound (in kayaks), hiked across the island from the beach to the sound (over the dunes, across open areas of grass and cacti, through thickets of yaupon & myrtle, into pine forest, between some of the largest live oaks on Ocracoke, and all the way to the marsh), and learned about clamming and net fishing. Today we studied the history of the village (pirates, pilots, seafarers, homemakers, and life savers...and Springer's Point, the lighthouse, and Howard Street). Tomorrow we'll join Captain Rob for sailors' stories, schooner history, explanations of nautical lore, and more sailing. I've been too busy to hear much about the other classes (pottery, watercolor painting, basketry, and cooking), but I'm sure that will come (maybe tonight at the soundside shrimp boil). Does it sound like fun?? If so, consider joining us next October! Our latest "newsletter" is actually a link to my new web site, Black Squall Books, and information about my new book, Digging up Uncle Evans, History, Ghost Tales, and Stories from Ocracoke Island, which is expected to be available by mid-November. Click HERE to go directly to the web site to learn more. Exciting News! My new book, Digging up Uncle Evans; History, Ghost Tales, and Stories from Ocracoke Island, is scheduled for release mid-November. This collection of history and stories is based on our popular "Down Point" Ghost & History Walks. My son, Stefen, has created a beautiful web site devoted to promotion of the book. There you can read the first chapter, view the back cover text, peruse the table of contents, read a paragraph about me, and, best of all, place orders for yourself, your family & friends. Digging up Uncle Evans will make an excellent holiday or special occasion gift for anyone who knows and loves Ocracoke. Click here to go to www.blacksquallbooks.com. Last night the 2nd annual Ocrafolk School met at the Flying Melon restaurant. It was an opportunity for the 29 students to meet their instructors, and for the instructors to learn something about the students and give them brief introductions to the classes. And, we shared a delicious meal prepared by Michael Schramel and Suzie Scott. This morning I presented half of the students with a brief introduction to Ocracoke, and a tour of the Ocracoke Preservation Society museum. Captain Rob took the other half on a schooner cruise. Then we swapped students and repeated our presentations. In the afternoon classes began -- Pottery, Basketry, Watercolor Painting, Cooking, & Ocracoke Sampler. Our Sampler class enjoyed a kayak tour of the sound side of the island. David Senseney shared information and insights about birds, marsh grasses, trees, plants, ecology, and development issues. We learned a lot, and worked up a great appetite. In just an hour or so we'll be coming together again for dinner at Captain Ben's restaurant, and then a music jam at the Soundfront Inn. This is going to be a great week! Our latest Newsletter is a history of the Ocracoke Assembly of God Church. You can read the newsletter by clicking here. The ocean was rough yesterday -- large waves and white water as far as the eye could see. Every other wave washed up above the berm, some even beyond the dunes, cutting narrow channels here and there. I walked from the Pony Pen north to a large section of shipwreck. It was difficult to measure because the ocean kept washing up around the wreck, but I estimate that it was 60-80 feet long, with large iron spikes sticking out of it. Some folks think it's a remnant from the George W. Wells that wrecked near there in 1913. Today was much quieter, and a much easier walk! I was chatting on the phone with Lou Ann this morning, and she has been telling me how cold it's been in northeastern Indiana lately -- down into the 30s at night. Of course, the trees there have been ablaze with color, and now the fallen leaves are covering lawns and sidewalks. Add pumpkins and corn stalks (Indiana has plenty of corn stalks), along with outdoor ghost stories with folks sitting on hay bales, and you have the quintessential Halloween scene. What a difference here on the island! It is so warm today (in the mid 70s already), that my upstairs bedroom is feeling a bit stuffy. I've opened all of the windows and doors to cool things off (we do have a stiff breeze blowing today), and I really won't turn on the A/C....but I might be tempted. Last year the Ocracoke School Spook Walk down Howard Street was rained out. This year the high school students will be transforming the public/school library building into a creepy venue. I went over last night to get my assignment. I'll be sitting in a rocking chair greeting folks as they enter the building. Of course, I'll be dressed appropriately and I will be behaving in a decidedly demented manner. I'm looking forward to my role! The students showed me their master plan -- dark tunnels, smoke machines, strobe lights, caskets, ghoulish scenes, amputated body parts..... I think they're putting together an effective display. If you're on the island come on out to the school this afternoon/evening for hot dogs, games, spook house, and bingo. We're only three days away from the beginning of our second annual Ocrafolk School. There are twenty-nine students enrolled. More information to follow. Here are a few pictures from our racing adventure. They were all taken by Steve Musil. He's on the right in the photo below. Captain Rob is next to him. Frank Phelps is in the blue shirt, and I am on the left. Emmet took the picture (he's on the left in the last photo). You can click on any image to see a larger version. I came home Sunday afternoon, after my sailing trip, and discovered significant beach erosion on Hatteras Island, at the village of Rondanthe. We were forced to drive through several inches of sea water where the ocean had breached the dunes (this was where the movie, Nights in Rodanthe, was filmed). Early yesterday Highway 12 was closed there. Webcam photos showed water pouring through the dunes onto the road. According to the Virginian-Pilot one house collapsed into the ocean. You can read about it here. The road was reopened later in the day. 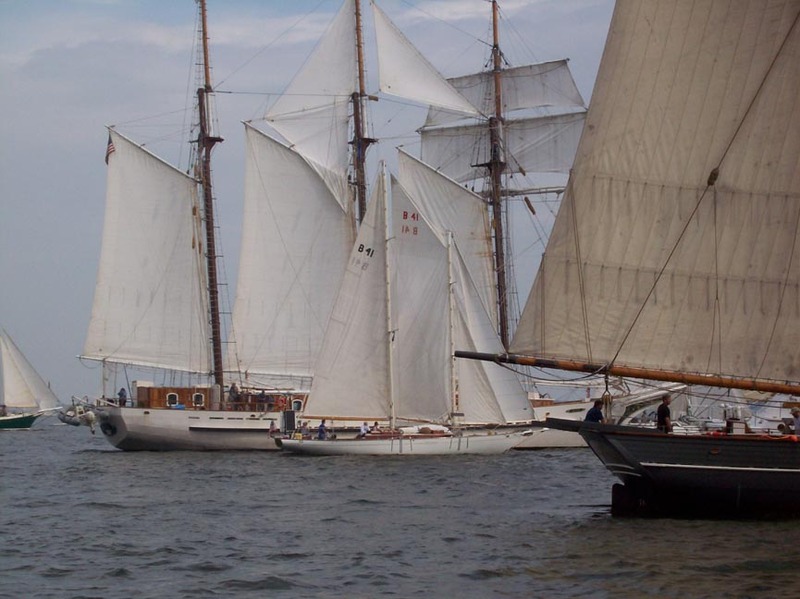 The 19th annual Great Chesapeake Bay Schooner Race is now history. And Ocracoke's very own schooner, Windfall, in its first race, under command of captain Rob Temple, with a crew of four (Emmet Temple, Frank Phelps, Steve Musil, and yours truly) finished third place in its class. Captain Rob now has a handsome plaque to display on his vessel. The more than fifty schooners (click on the link if you don't know how to distinguish a schooner) were divided into four classes. The Windfall, with a length of 57 feet overall, and 45 feet on deck, was one of the smallest boats. To Rob's delight we made record time and beat many of the larger vessels. In fact we were the second schooner in our class over the finish line, but were awarded third place because of a complicated handicap formula. With winds of 15 to 25 mph and building seas, the Windfall raced down the Bay before the wind (at times exceeding 10 knots), from just after 1 pm on Thursday through early morning on Friday. It was an exciting (and sometimes wild) ride with all sails set. What a memorable adventure it was. The race was the highlight, of course, but in port (in Norfolk, Baltimore, and Portsmouth) we were treated to traditional seafaring music (sea chanteys, ballads, and folk songs); tables piled with fresh oysters; pirate reenactors in frock coats, tri-corn hats, and cutlasses; and mugs of cold beer. Walking along the wharves and docks alongside salty old sailors, with wooden masts and traditional rigging as a backdrop, it felt as if we'd stepped back several centuries. Although I am no experienced sailor, I can hold the boat on a steady course, I know the port side from the starboard side, the halyards from the sheets, and I know "red, right when returning." But I learned a number of new nautical terms. In case you're interested, I've listed a few below. Click on the terms to learn what they mean. I also had the good fortune to meet and talk briefly with Bill Pinkney, former master of the Amistad (one of the largest schooners in the race), and first African-American to sail alone around the world (it took him nearly two years). As he put it to me (this is a paraphrase), any capable sailor with a seaworthy vessel should be able to accomplish this, but the question is, why would anyone want to do it! 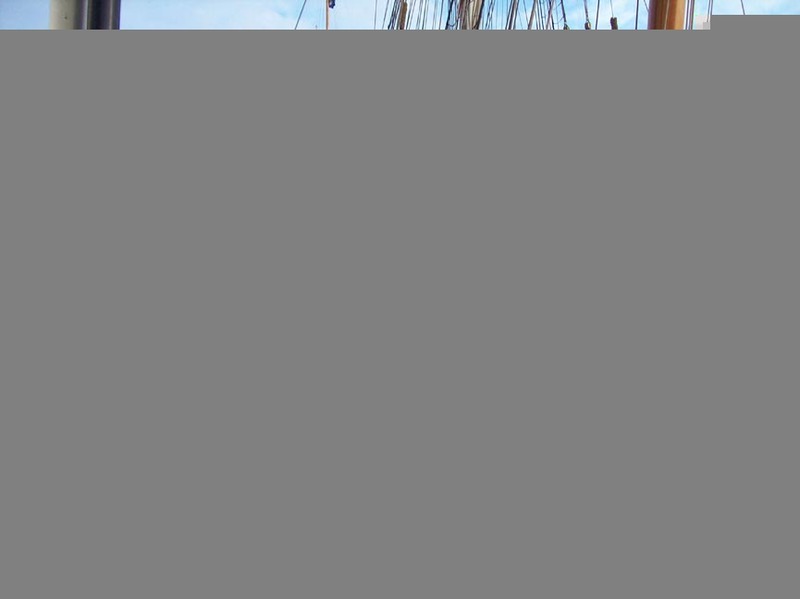 Here are a few more links about the Amistad, and the Chesapeake Bay Schooner Race. Enjoy! We docked in Portsmouth, Virginia yesterday just after noon, after racing for nearly twenty-four hours down the Chesapeake Bay. What an exciting race this was. Captain Rob's schooner, Windfall, handled exceptionally well in favorable winds that pushed her along at what we considered breakneck speeds (in the middle of the Bay with winds at 15 - 25 mph the Windfall fairly tore down to Portsmouth). We won't know the results of the race until later today (the race committee uses a complicated formula to determine handicaps), but we all feel great about our performance. I'll be back home in several days, and hope to have photos to share then. As much fun as this trip has been, though, it will be good to be back home on Ocracoke. Look for more posts early next week. Philip called last evening from Fells Point, MD. He, Capt. Rob and the Windfall crew had a wonderful trip up the Chesapeake Bay to Baltimore. Philip reported seeing bald eagles and dolphins escorting a container ship out to sea in Norfolk. The Windfall, large as it seems to us, was quite small compared to some of the schooners 130 feet and up, Philip said. The race from Baltimore to Norfolk is scheduled to start tomorrow, I believe. 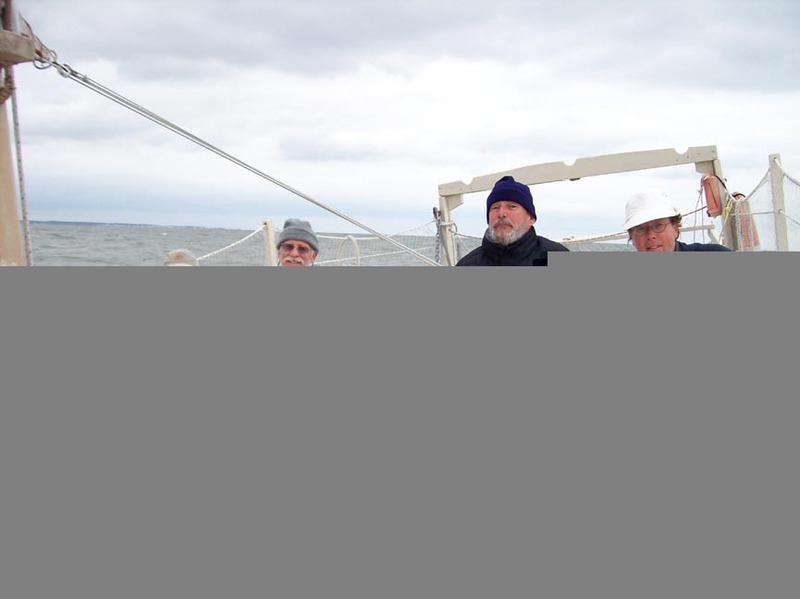 But you can check by clicking on this link " The Great Chesapeake Bay Schooner Race". I'm sure Philip will have tales to tell upon his return next week................tall and otherwise. I will be gone for about 10 days. Captain Rob asked me to help crew on the Windfall. He has entered her in a schooner race next week down the Chesapeake Bay, from Baltimore to Norfolk. My brother is here on the island to look after my house and the dog while I am gone. But he's not computer savvy, so I can't get him to post on the blog. I think he will enjoy sittin' on the pizer and reading though. Maybe he'll even get to the beach some. The weather has been just right for enjoying the beach. 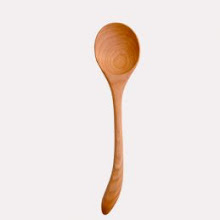 I've asked Jude to post whenever she gets a few minutes. In the meanwhile I'll be relaxing on the Windfall, enjoying this beautiful fall weather. Captain Rob even thinks we might win or place in the race. He claims the Windfall is a fast schooner. Maybe he should have gotten a more qualified crew! Just a photo today. These are the shells I found on the beach a few days ago. 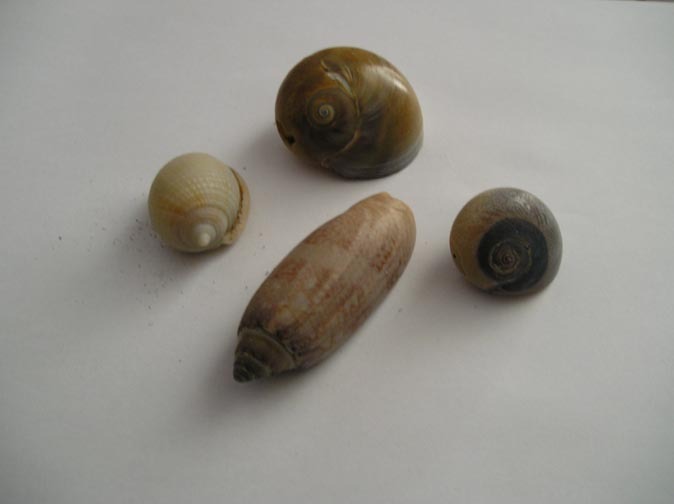 Scotch bonnet is on the left; lettered olive is at bottom; the other two shells are moon snails. Yesterday afternoon seven of us piled into Gary & Kitty's van and traveled to the Kill Devil Hills movie theater to see "Nights in Rodanthe." We left the island at 1 o'clock in order to catch the 1:30 ferry. We arrived at the theater soon after 4 o'clock, just in time to purchase popcorn, nachos, and drinks to eat in the lobby. The movie started at 4:30. The movie was predictable. Based on a Nicholas Sparks novel, it was a typical tear-jerker, or as they say, a chick-flick. Not my personal choice in film, but it was an enjoyable afternoon's entertainment. Actually, it was more than that, thanks to it's location, and, of course, the Ocracoke island music and musicians. It's often difficult for islanders to read or watch fiction set on the Outer Banks because we notice all of the inconsistencies (e.g. the 1970s beach house where N in R was set was supposed to have been built by an ex-slave after the Civil War! ), but I was able to stifle the urge to criticize. Towards the middle of the movie Richard Gere and Diane Lane take in a local outdoor party with crab-picking and down-home music. There they were, big as life -- Katy Mitchell belting out "Hurry on Down to My House" in her red dress, and Kevin, Marcy, Lou, and Jubal strumming and drumming behind her. Several other Outer Bankers could also be seen in the scene. But the most prominent was octogenarian and island native, Jule Garrish, singing "Before I Met You." Even though he had only a few brief moments, Jule's face filled the screen. Of course, we stayed to the very end, and hooted and clapped when the credits listed our friends and neighbors. After the show we stopped at a brew-pub in Nags Head, then made for the 10 o'clock ferry. I walked into my house at 11 o'clock, weary after spending ten hours just so I could see a movie, but happy I had. 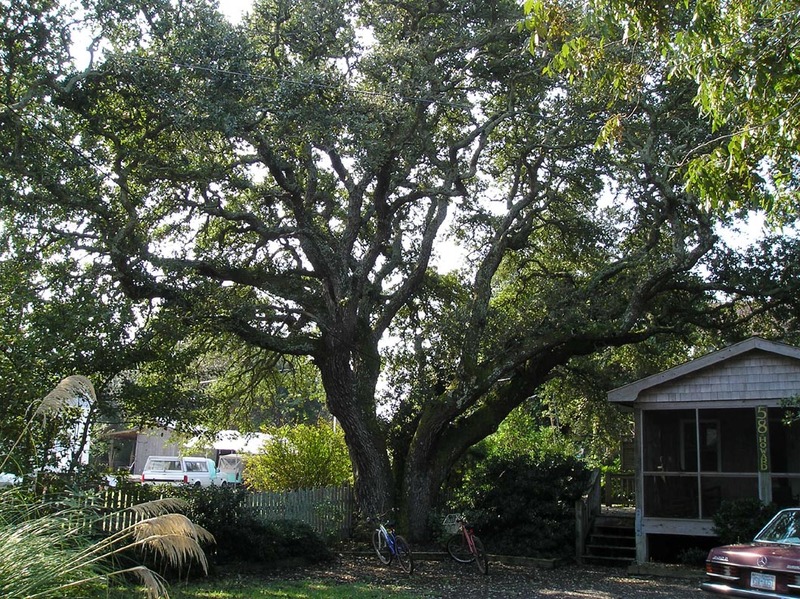 Not long ago a reader asked about the ages of live oaks on Ocracoke. No one seems to know how old these majestic trees are, but estimates range from 350 years to 500 years, maybe even older for the largest trees. With help from Chester Lynn I have been trying to photograph, measure, and document some of the oldest trees, both in the village, and on NPS land. I hope to have a monthly newsletter with more information in the coming months. In the meanwhile, enjoy this photo of what may be the largest live oak on Ocracoke Island. Measured about 3' from the ground, just below where the main trunk splits into several main branches, it is about 17' 3" in girth. It lives on Howard Street. The oak in the Methodist Church parsonage yard may be more impressive (the trunk does not divide, and it stands proudly right next to the lane), but it's girth is a "mere" 13' 9". Yesterday morning I just had to get to the beach. It had been several days since I'd last been there. Everything about the walk was perfect. The day was cooler than it had been, but still pleasantly warm (it was in the upper 60s). Lots of broken shells had washed up on the beach. Lo and behold! I found a scotch bonnet, a lettered olive, and two moon snails. Each of the moon snails had a small hole, but the bonnet was whole (though bleached almost white), and the olive was nearly as perfect as any I'd ever found. The waves were gentle (not much bigger than on the sound side), and the water was almost immediately chest deep. After my 45 minute walk I stripped off my shirt and jumped in. So refreshing! Although the air felt cool when I got out, the water temperature was just right for swimming. These are the kinds of days that boost people's spirits. Temperatures are in the upper 60s/low 70s, there's only a whisper of a breeze, and sunlight is dappling white picket fences. Yesterday, author Susan Sully stopped by for a visit. My house is one of 17 houses featured in her book, The Southern Cottage. She was here scouting out other houses for an upcoming magazine article. We visited three island homes, all of which were decorated with a decidedly creative flair. The light was perfect for taking a few preliminary snapshots. When the article is published I'll let our readers know. Speaking of magazines, the October issue of Our State has an article about the upcoming Ocrafolk School by islander Sundae Horn. The same issue has an article about eastern North Carolina ghost walks, including our very own walk. Well, we've done it again. We've published our latest Ocracoke Newsletter. It is a brief history of the local Assembly of God Church. I didn't have any photographs of the original building (other than one I took yesterday of it's reincarnation as a rental house on NC 12). If any of our readers have photos you'd like to share please email them to us at Village Craftsmen. Thanks.